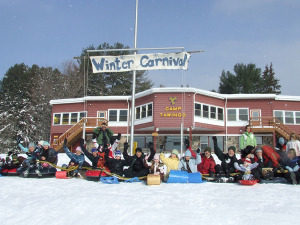 The Tawingo Alumni Circle is an organized extension of the Camp Tawingo Staff. It invites all present and former Camp Tawingo Staff to join in this association with aims of maintaining the fellowship of Tawingo. We are very proud to present the Tawingo Alumni Circle as a formal and important part of the Camp Tawingo Family. A dedicated group of Tawingo Alumni members are serving on a TAC Steering Committee to help build and maintain a great, active Alumni Circle. Please click here to see our group page on Facebook. Bring your family for a weekend at Camp! Staff Alumni are invited to attend one of our Fall or Winter Family Weekends at special rates. 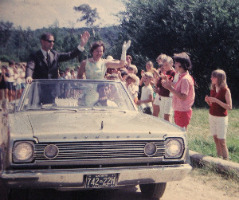 Please click here for more information about Family Weekends at Camp. Looking back at what it was that brought us together, we can look ahead to the things that keep us together. 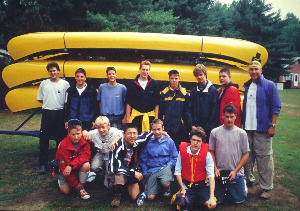 Please help us keep an accurate and current record of your place and circumstance: Address, phone numbers, faxes, e-mails, years at Camp (camper, TLC, WJ, VA, staff), profession, children names/birth dates, and any other interesting tidbits. Please click here to update your record. Tawingo Alumni Circle Campership Fund. 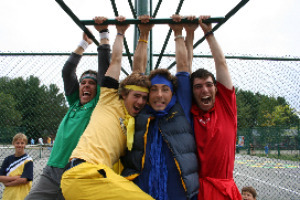 The Campership Fund has been set up by our Alumni Committee to accept donations and allow campers to attend Camp. Please click here for more information about the Campership Fund or to donate. MEMORIAL SERVICE FOR JACK PEARSE: "ONE MORE TIME..."
To read more about Jack Pearse please click here. To view photos of the Memorial Service please click here.